Imagine you’re a young veteran preparing to leave the military and enter the civilian workforce. You have all the right qualifications, credentials and experience to land a job—but you also have a service-connected disability, as an estimated one in four veterans in today’s workforce do. 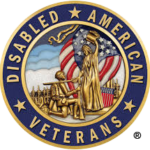 As October is National Disability Employment Awareness Month, DAV (Disabled Americans Veterans) has released The Veteran Advantage: DAV Guide to Hiring and Retaining Veterans with Disabilities—a free resource to support employers, dispel myths and demonstrate the business case for employing America’s nearly 4 million veterans with service-connected disabilities. For all that military men and women have sacrificed for us, it’s no surprise that, according to a 2016 study, 73 percent of employers have made a commitment to hiring veterans. While around 30 percent said they had concerns about hiring veterans with certain disabilities, 74 percent of employers who have hired disabled veterans believe it has been a positive experience for their company. Still, more than half (57 percent) of disabled veterans transitioning to the civilian workforce report fearing hiring discrimination due to disability. At a time when employers are struggling to find qualified candidates, veterans bring unique experiences and capabilities to the job. Thanks in part to their military training and service, veterans with disabilities are loyal, team-orientated employees with job-ready skills, tested leadership abilities and a mission-focused work ethic. DAV’s employer guide not only offers best practices and helpful tools for employers, it also strives to inspire more organizations to consider this talent pool. The free, comprehensive guide is the result of more than four years of study about what the veteran community contributes to the workforce and how hiring veterans, especially disabled veterans, can positively impact a company’s bottom line. The 36-page publication includes up-to-date statistics about veterans with disabilities; explanations of financial incentives, tax credits and other support available to employers; informative resources available from the Department of Labor, Department of Veterans Affairs and the Society for Human Resource Management; in-depth onboarding and retention strategies, with approaches to creating successful employee resource groups; and testimonials of veterans thriving in successful careers, as well as case studies from respected employers who are benefiting from disabled veterans in their workplace. We know that the most important factor in a veteran’s ability to successfully transition to civilian life is quality, fulfilling employment. Employers can give back to veterans by opening the door to these opportunities. If you’re looking to hire talented individuals, take a look at DAV’s new employer guide at www.dav.org/veterans/employment-resources/hiring-guide/ and see how veterans can enhance your company today.